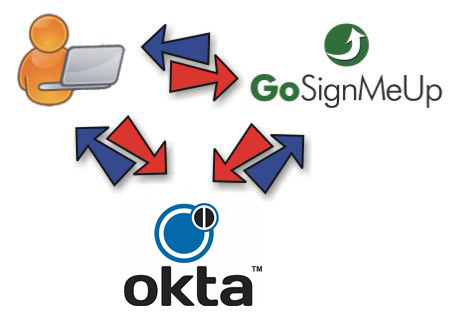 GoSignMeUp has now integrated with Okta for identity management and federated identity-based authentication and authorization. With Okta Identity integration you can take advantage of ‘single sign-on’ (SSO). SSO allows your users to sign in to GoSignMeUp and other different organizations or institutions using just one ‘identity’. Okta integration allows for cross-domain single sign-on and removes the need for content providers to maintain user names and passwords. Okta Identity provides an identity and access management platform enabling the right people access to the right things seamlessly and securely. A user authenticates with his or her organizational credentials, and the organization (or identity provider) passes the minimal identity information necessary to the service provider to enable an authorization decision. Okta also provides extended privacy functionality allowing a user and their home site to control the attributes released to each application. 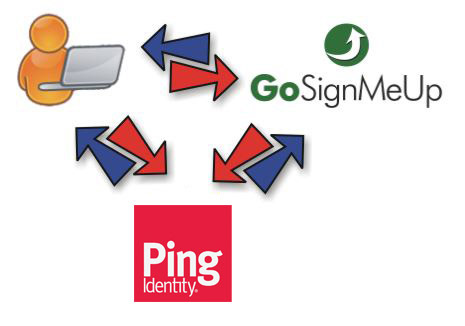 GoSignMeUp now benefits from these features through Okta Identity integration. GoSignMeUp online class registration and management software saves training organizations time and money – and makes the user experience easier and more secure using Okta integration. GoSignMeUp also supports other SSO options thru an LMS (such as Blackboard Learn, Haiku, or Canvas) Google SSO, CAS and Shibboleth. Contact GoSignMeUp for pricing information or questions about our registration software.